Want to get a new look quickly and affordably? 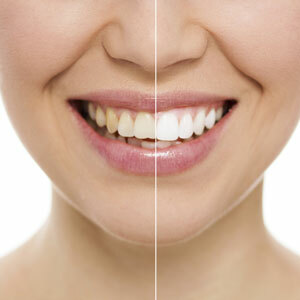 Improve your smile with simple, noninvasive tooth whitening procedure at Shine Dentists. One of the most popular cosmetic services, it can be done by the dentist or in the comfort of your home. Teeth whitening is an excellent investment as it can boost your confidence and allow you to enhance your appearance affordably. Should you whiten your teeth quickly and conveniently in our clinic, or should you obtain custom-made bleaching trays for at-home use? Our professional team can help you find the best solution for your needs. You deserve a beautiful, white smile. Call (02) 6242 6666 or book your appointment online now! In about 90 minutes you can receive our in-chair whitening treatment so you can book a time during your lunch break. Our four convenient locations allow you to easily fit whitening into your busy schedule. The gorgeous results can last for up to two years. You can also choose to whiten your teeth outside the practice with our at-home whitening options. We’ll provide you with customised fitted trays that allow you to safely and efficiently whiten your teeth in just seven to ten days. The trays only need to be worn for 60-90 minutes a day to get excellent results. This customised whitening option is available for only $500. If you have straight teeth, you may want to try our ready to use whitening trays, with each disposable tray already filled with whitening product for immediate use. This ready to use whitening option is an affordable $160. Achieve the brilliant, gleaming smile of your dreams for less. Contact Shine Dentists today. Call (02) 6242 6666 or book online with your preferred location today!